The University of Florida Herbert Wertheim College of Engineering powers our new engineers to transform the future. Alejandro “Alex” Moreno (BS, ChE 1983) is one such illuminating example. A chemical engineer by training and a serial entrepreneur by profession, Mr. Moreno’s path of ethical business, leadership, and success is an inspiration to students and alumni. After completing his MBA at the Harvard Business School, Moreno launched and developed a number of companies and projects ranging from healthcare staffing and environmental services to construction and development. He is currently CEO and co-founder of Nightingale Nurses, one of the largest and fastest-growing health care-staffing companies in the United States. Nightingale Nurses has over 500 employees and receives revenues in excess of $60 million. Alex is also CEO and founder of Panther Development Investments, a consulting services firm that helps Native American Nations in the areas of energy development, infrastructure and financing. Throughout his 25+ year career, Mr. Moreno has maintained close ties with the Department of Chemical Engineering at UF, serving as a member of the External Advisory Board. He is also a frequent guest lecturer in the Department and is an avid supporter of the Chemical Engineering program. 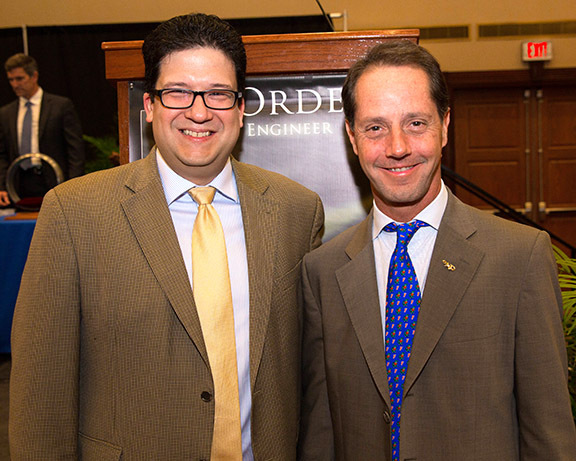 Mr. Moreno has most recently evidenced his generous support through a $5.2 million gift to establish an energy systems engineering program, to be headed by the Alex Moreno Endowed Professor in Energy. His gift represents the largest private commitment made to the Department of Chemical Engineering since it was founded more than 75 years ago. The program is expected to become available to all Engineering majors while also being offered as a separate certificate program in energy systems. Studies and research will focus on the many forms of energy (electrical, fossil fuels, water, etc.) and processes for efficiently conserving and producing that energy. With this initiative, my hope is that UF can further move society forward by exploring and creating more bold solutions for our energy needs, and by educating the next generation of engineers who will lead in this area,” Moreno enthused. In 2015, the Department of Chemical Engineering bestowed its Excellence in Entrepreneurship Award on Mr. Moreno and further honored him with the Department’s Distinguished Diamond Award in 2017. Alex was honored earlier this year at the Gator 100 Ceremony as the Pinnacle Award recipient in honor and recognition of his success as an entrepreneur and steadfast supporter of the university. Mr. Moreno was presented with the Distinguished Alumnus Award on May 6 during the Spring 2018 engineering commencement ceremony. He was also the honorary speaker at the Spring 2018 Order of the Engineer induction, where he shared his insight with the Gator Engineering community.